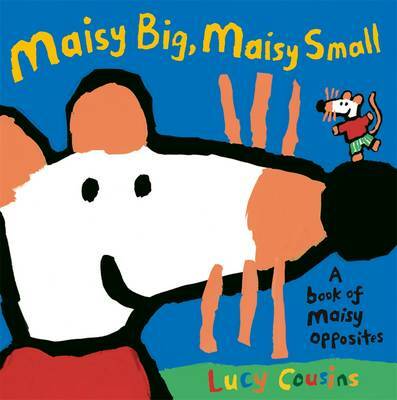 Explore opposites with Maisy in this exuberant concept book. What's the opposite of big? Small! What's the opposite of old? Young! What's the opposite of hot? Cold! An exciting range of opposites is explored by Maisy as you've never seen her before: stripy and spotty, happy and sad, tall and short! This large-format concept book with rounded corners is bursting with exciting, colourful art and sure to delight young children. This strikingly vibrant new art from Lucy Cousins takes Maisy into a whole new realm, with strong appeal for adult art-lovers as well as toddlers.